Hi Guys! Really excited to inform you all that we have decided to move our Magento themes and extensions to a new domain UberTheme.com. We have been working behind scenes for months for this relocation. UberTheme.com is coming near you! All new site with better layouts. Rebranding, copyright removal all inclusive in price. We want to move the focus from quantity to quality. Thus reboot our Magento themes business model with a fresh perspective and devote time to do what we love the most i.e. innovation. Offering single themes for sale and all theme bundle. Fixed period of support/ upgrades for one year. Guaranteed upgrades and bug fix support for all listed products for the latest Magento versions for atleast 3 years after first release. More focus on quality and tons of features. Bootstrap 3 is being considered. More resources for support and development. What happens to current members? We are moving all members to UberTheme.com, with few changes to membership plans. No, we are not forcing it upon you. Check the details below to know the benefits of moving to UberTheme. Detailed personal emails will also be sent to all. Get one full year of access to all at UberTheme.com, irrespective of current date of expiry. Those who choose not to take action will have access to support at JoomlArt.com till membership expiry. Full 3 months of access at UberTheme.com, irrespective of current date of expiry. At UberTheme.com we will NOT offer lifetime membership. We are offering One year membership for download and support with annual renewal options for support and updates. Product usage is for life. Get 3 themes free (apart from the one purchased at Joomlart) at UberTheme.com with one year support with option to renew every year. 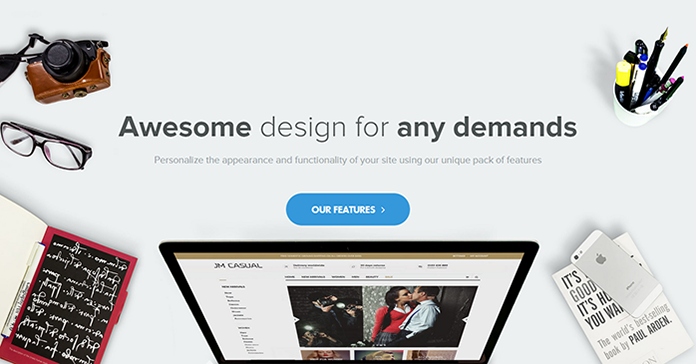 Those who choose not to take this offer can request going back to JoomlArt. Applies only to active members. 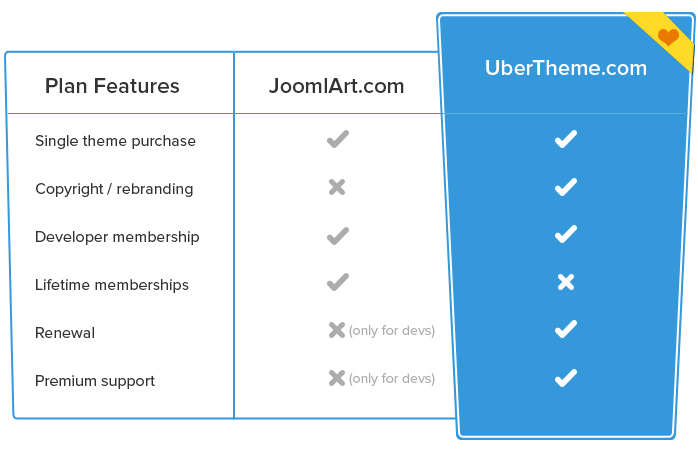 Get 2 themes free (apart from the one purchased at Joomlart) at UberTheme.com with one year support and option to renew every year. In case of no action from your side, we will still provide support via ticket system at JoomlArt.com for a minimum period of one year and may extend the same based on user requests. Downloads would be maintained at JoomlArt.com for existing members. Membership sale and renewal plans would be discontinued and members directed to new domain for renewals / new purchases. Support for existing members would be available in the ticket system. We would lock the forums of JM and make them read only (proposed change, not final yet). JoomlArt.com would be Joomla products only. Yes, but users would need to activate their account at UberTheme.com. When is the launch ? Visit the all new UberTheme.com and signup to receive the launch news. We would be launching soon, somewhere in September 2014. Be the first to know! Sign up to our newsletter and you will be notified the minute we launch. If you have any query relating to this announcement, feel free to leave your comment below or write directly to me at arvind@joomlart.com.